Durex Love condoms ; 20% thinner than regular condoms, with a great fit for mutual pleasure. Available in a handy 4/pack. Easy carry and access from pockets and purses. 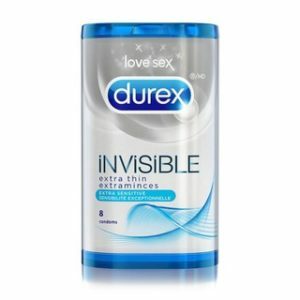 Durex Love condoms are a favorite of teens, whether attending a rave,a private party, or a hook-up. Carry condoms at all times. You can’t tell when that “surprise date” will be standing in front of you. You could be back-packing,at the beach, or attending a sports event. Anywhere there are gatherings of teens, you want to be protected. Important information about the use of condoms is enclosed with each pack of Durex Love condoms. For maximum protection, please follow the instructions. See MORE Durex Products Here.